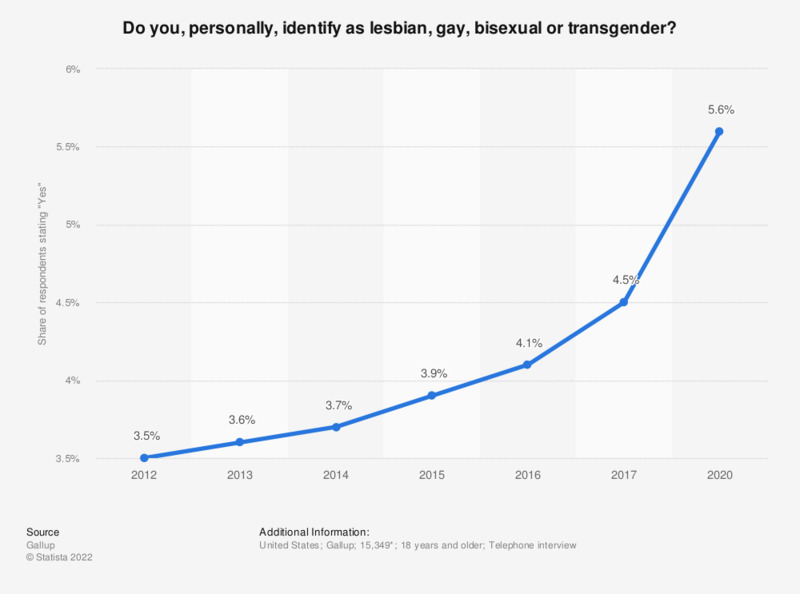 This statistic shows the share of adults in the United States who identify as lesbian, gay, bisexual, or transgender from 2012 to 2017. In 2012, 3.5 percent of adults surveyed stated they identify as LGBT, while in 2017, 4.5 percent of respondents said the same. *In 2017. The source does not provide the exact number of respondents for each year. See source for methodology.